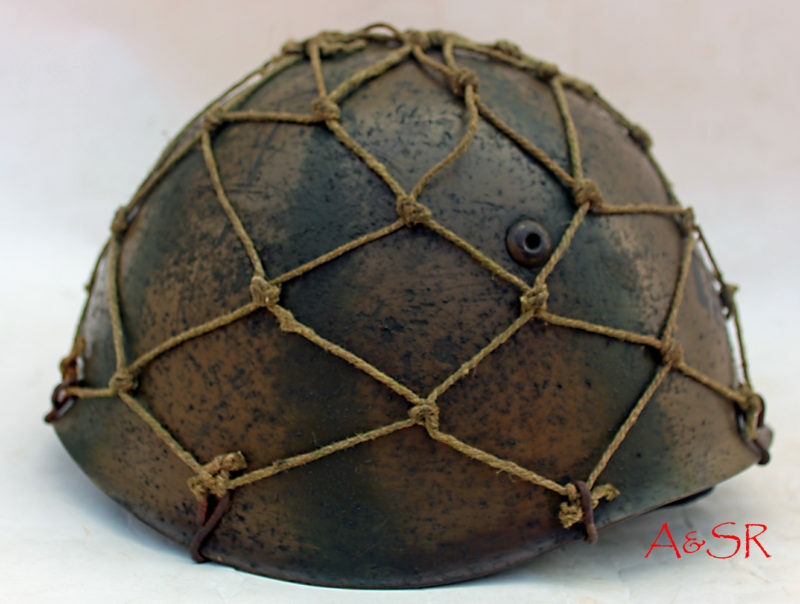 Italian M33 w/ 1st pattern G.N.R. insignia. 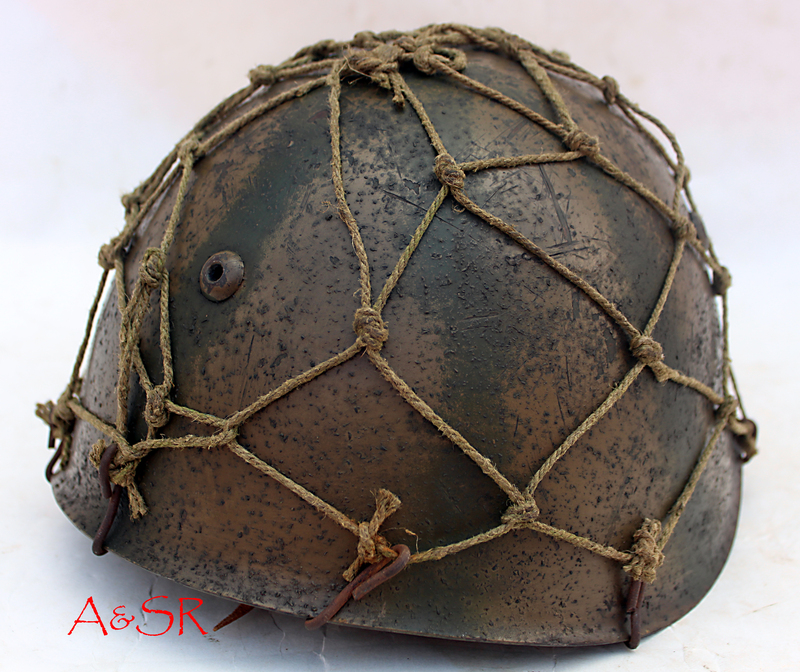 Italian M33 helmet restored to a circa 1944 G.N.R. configuration. The G.N.R. stencil was applied directly over the camo pattern as was the Italian practice. The hand tied net is made from 1950s era hemp rope. 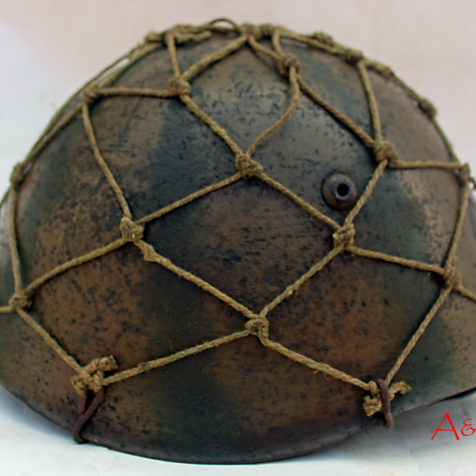 A&SR can replicate any Italian M33 helmet from the WWII era. 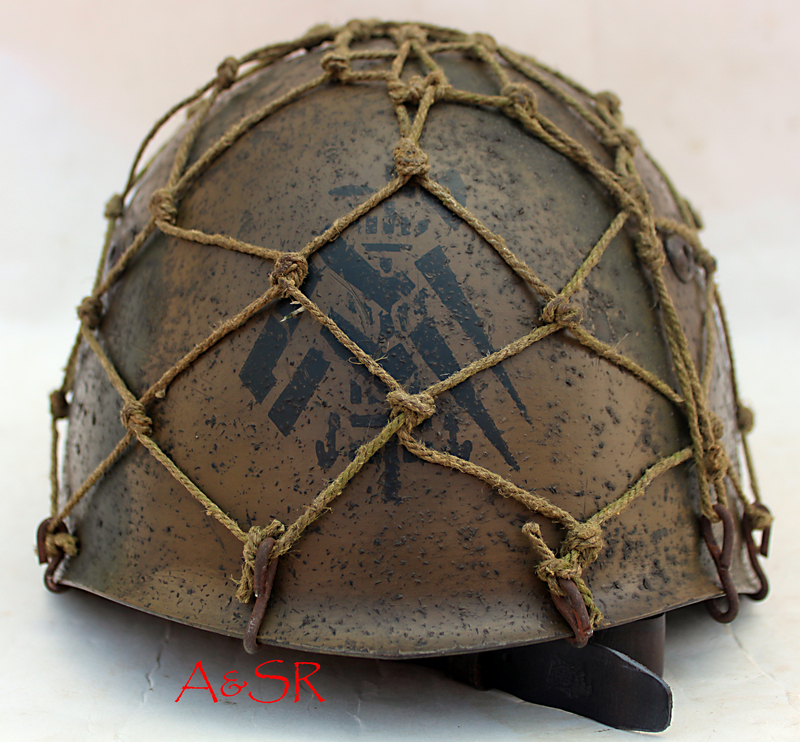 We have a wide range of Italian stencils and decals from both Royal, and RSI era.